Alki Surf Shop Turns 4! Next month will mark the four-year anniversary of a small journey my husband, David Horsfall, and I started in 2014. Alki Surf Shop began as an online store that became a brick and mortar reality once we were able to locate retail space on Alki (pronounced ALK-eye) Beach. Retail spaces are rare, and it was through a chance conversation that we learned of an imminent storefront space opening up. Tucked around the corner from Homefront, the most popular ice cream store on the beach, it’s not the easiest place to find, but people find us, and somehow we’ve become a destination of sorts. We’ve cultivated a loyal base of customers—many of whom have become our friends. Our fans and supporters want us to succeed, and they bring in friends and family whenever they have visitors, from everywhere. It’s been an amazing learning experience, and I can say with certainty we are doing most everything more intelligently than when we started (there is always room for improvement, though). Along the way we have met thousands of people from all around the world and have 4 volumes of guest books to prove it. Packed on every page are drawings, messages of goodwill, and touching expressions of friendship spanning every continent and country, often written in the language of the visitor. In the store’s nascency, I brought in a Nokia* tablet to use, but eventually we needed full-powered computer and replaced the tablet with a 21’ iMac. Our music continues to be piped out onto the sidewalk with a UE Boom* that it has been in use nearly every day for the past 3 and a half years and is still going strong! We have a WeMo* camera for security, and our Verizon service has even rescued us when our credit card terminal service was down by enabling us to use Square to process transactions. This is all to say, for a very low tech-looking, laid-back beach store, we depend on technology to keep the wheels turning each day. It’s gratifying that beside that fact that we offer a valuable service, our business provides so much joy to our visitors. Most people enjoy the friendly vibe where we take time to learn where people are from and what brings them to Alki. Each day we have customers hug us as they’re leaving. How many businesses can say that? And many exchange a conspiratorial wink with us when they introduce new people to our store. They whisper, “Are you going to do the ‘horn,’” which is actually the blowing of a conch shell and shouting of “mahalo” as customers depart. Beside the special events above, on an everyday basis there are things happening — Saturday salsa dancing, volleyball tournaments, beach parties at the fire pits, paddle boarding, bicycle rentals, and happy people everywhere. Looking out at the view from our store and seeing the Olympic mountains and Puget Sound, we are reminded that life is better on a beach. We’re grateful to our real-life and social media friends from Twitter and IG who have visited Alki Surf Shop. If you’ve visited the store please let me know so I can add your moniker here! *Verizon generously provided us with technology used at our store. What would you say to making holiday gift exchanges a pain free, sure thing ? Most often, the same list goes to everyone in the family, so if we don’t check with each other, it’s not unusual for two people to buy the same gift for someone. Duplicates have been re-gifted, returned or traded, but inevitably, everyone smiles and says thanks! There is at least one person who doesn’t believe in gift lists and buys whatever feels right, regardless of whether someone wants it or not. And at least there’s no chance of duplicates! For a couple of years I’ve been wanting to try an experiment during the holidays. It’s really a pretty flexible, and potentially stress-free strategy. I have the best family. Six months ago I asked them to try an experiment for our holiday gift exchange, and this is the year everyone is on board! For example, I could buy myself a new LG K8V smart phone and wrap it up as a gift from my husband, David. He knows I love technology and gadgets, but he is a self-avowed neo-Luddite and wouldn’t know which features matter to me or what phone I’d want. But if I know I want an LG K8V and I buy it, when I open my gift from David, he will be surprised, and I end up with a perfect present! For David, it might be a load of lumber to build a new basement stairway at our vacation home. I don’t know a thing about treads and risers, but HE does! Do you see how this can work? In all cases, there will still be an element of surprise because no one knows what they are giving to the other recipients. It might even provide insight into the things some of us really like. AND, all clothing will fit; there will be no unwanted duplicates, and whatever a person’s budget is, it will work! Furthermore, we end up buying the same number of presents as usual…or maybe even fewer. AND OF COURSE, THAT WORKS! If you’ve been wanting a big-screen television, or a computer, you can buy it and make it a gift from the whole family. One-stop shopping and you get something you really want and need. Or maybe you are tired of getting “stuff” and are trying to purge things instead of acquire more possessions? You can buy a bottle of your favorite nail polish, a pound of your favorite coffee, or a new supply of socks or underwear. You get the idea — maybe kind of unglamorous stuff, but things you really want, need and will happily use. If the thing you love about gift exchanges is the look of surprise on someone’s face, just remember, it can still happen. It’s just that the look of surprise is on “your” face when you see what you’ve given someone! So, what do you think? Is this a hair-brained idea or a stroke of brilliance? I’ll report back with the results of our experiment whether it’s a success or a bust! Meanwhile, U.S. residents who leave a response to this post by December 12, 2016, will be eligible to win a new Verizon Smartphone: the LG K8V— a beautiful Android device with a ton of amazing features, including a large 5” HD display, a hands-free “selfie” feature, an SD-slot and removable battery. And it’s a good traveler since it works in more than 200 countries. 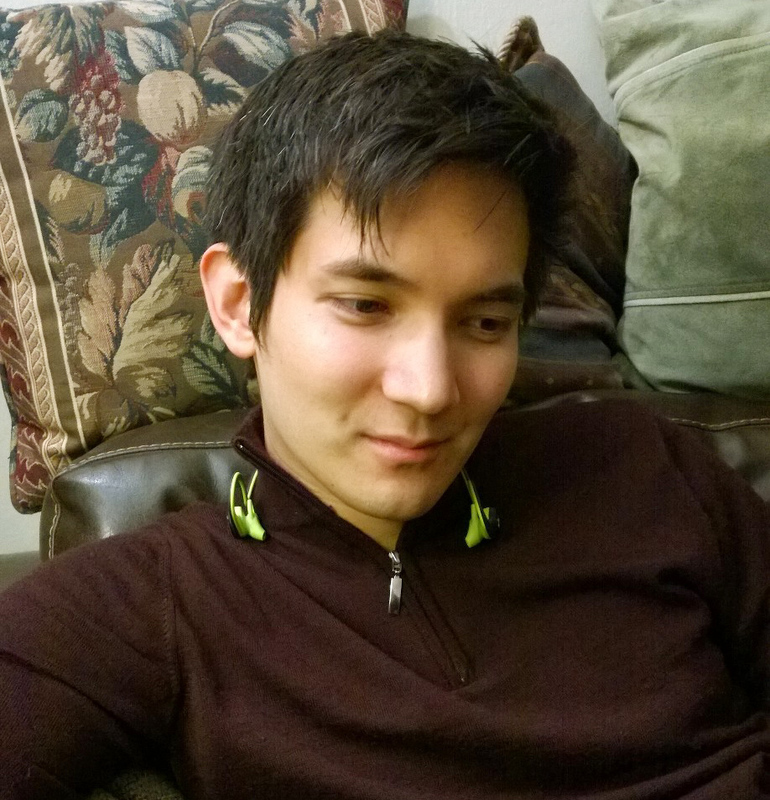 I’ve been impressed with LG for its amazing color quality, quick charging and ease of use. The winning comment will be chosen by one of my cats. The selection will be posted here, and you’ll need to check to see if you’ve won. I’ll give the winner 2 days to get in touch with me to provide me with mailing information. If I don’t hear from him/her, I’ll move to the next in line. Please contact me with your mailing address! 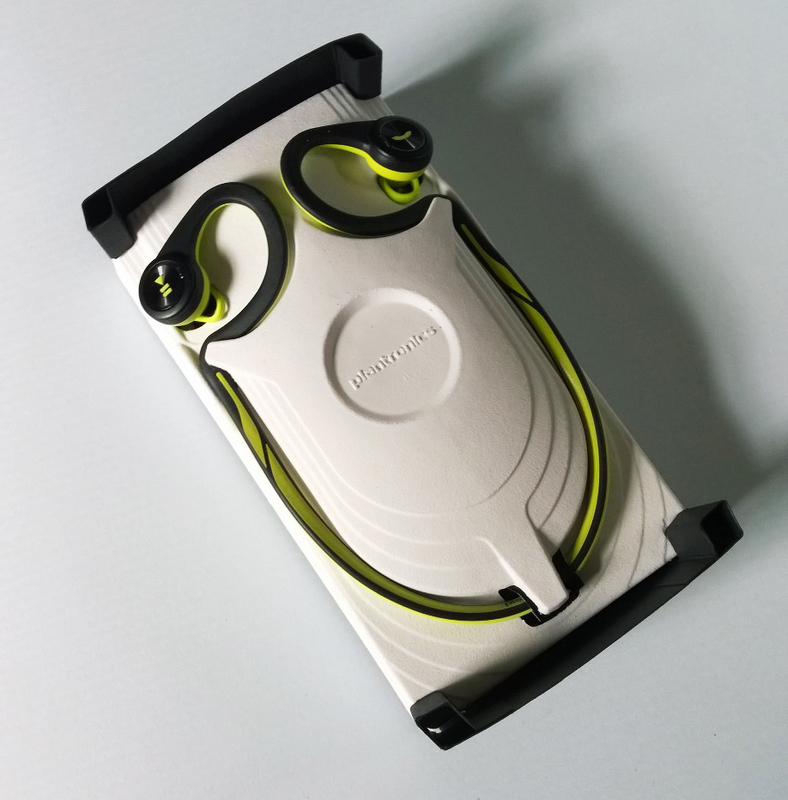 I’m not a workout fanatic, but I like to walk, so the Plantronics Backbeat Fit wasn’t subjected to the same kind of abuse as someone who does an extreme cardio workout. That being said, the headphones are easy to set up. For me, it took five minutes or less, including the installation of the Backbeat Fit app. The first thing I did was try playing a song with the music app, and I was happy to find the sound quality was crystal clear. I’m not a headphone expert, but already I am thinking this is a great upgrade, and my standard-issued Apple headphones will be buried in my bag for back-up. There are features for controlling the music with the headphones. Music can be paused and the volume can be adjusted. Unfortunately there is no track skipping functionality. Maybe this is something that can be added in the future. There is a non-adjustable band that wraps around the back of your head and I found it to be comfortable. I didn’t try the arm band, but suspect the same care was taken to ensure comfort and usability. 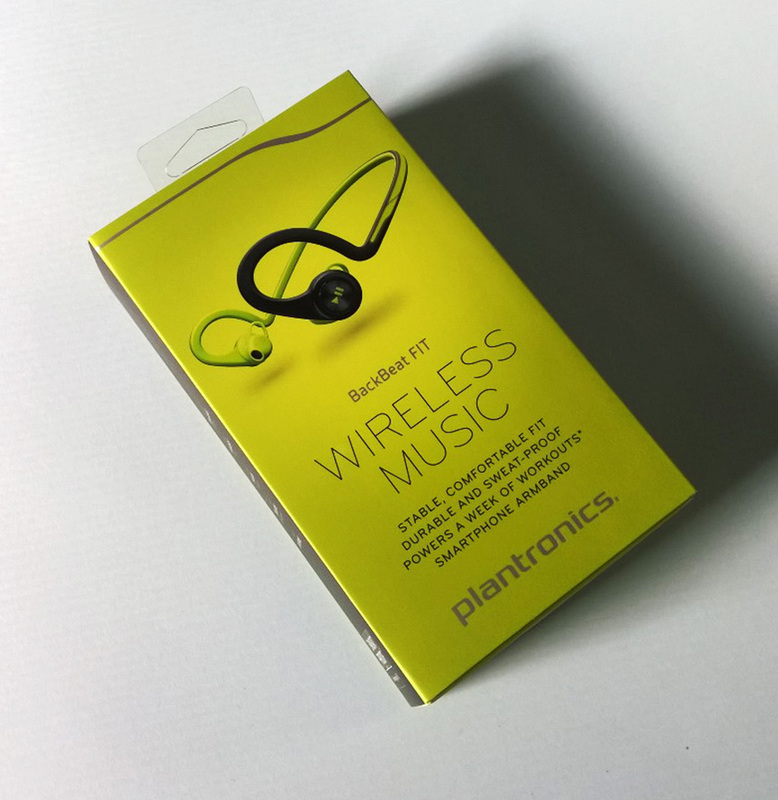 Making phone calls with the Plantronics Backbeat Fit headphones works the way you’d expect. There’s a single button for answering and hanging up. The play/pause button is used to mute a call, and you are notified by a sound when it is on or off. (The button is located on the left headphone, call button on the right). Holding the call button also allows you to use voice commands, but it isn’t the greatest—at least on the iPhone 5S. I think it has more to do with Siri than anything than any shortcomings of the headphones. I’m getting some nice feedback from friends, but most of all, it’s great trying out this new gadget. The inspiring view of the San Francisco Bay Bridge with Cupid’s Bow by Claes Oldenburg and Coosje van Bruggen in the foreground. 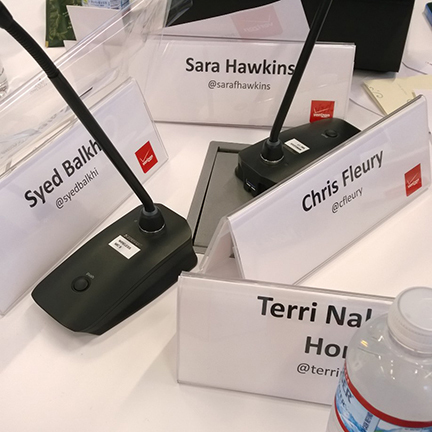 Last week I had an amazing opportunity to spend three days in San Francisco as part of a 30-member group invited to attend the Verizon Brand Influencer’s Summit. 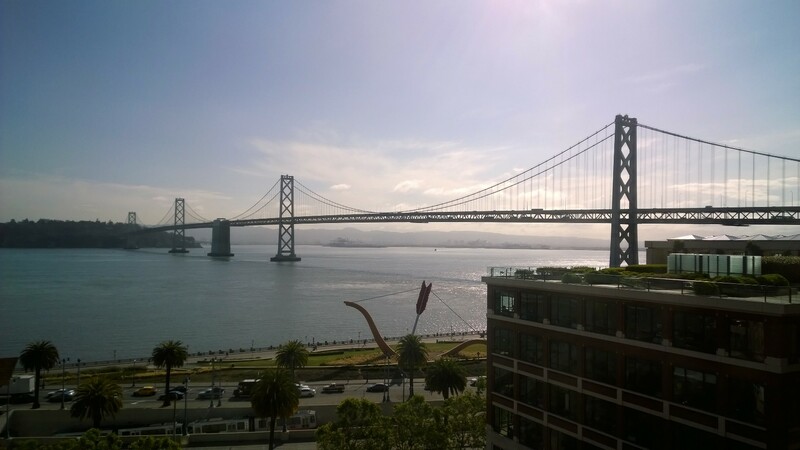 The weather was beautiful and we all stayed in the Hyatt on Embarcadero, so it was a bit like an adult-geek summer camp! 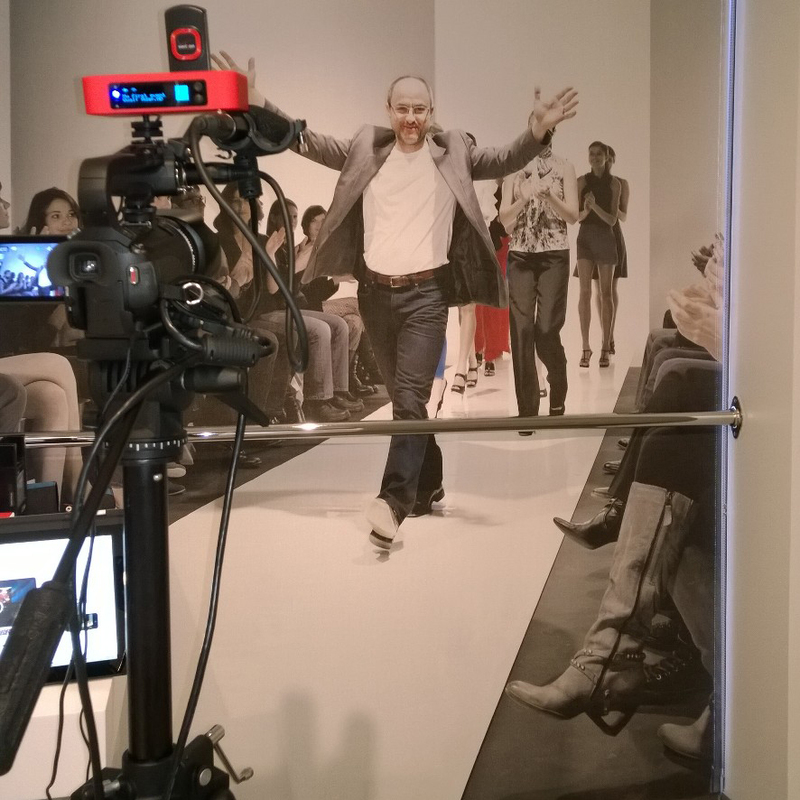 Brand influencers are people who engage audiences on behalf of a company, product or service. From my standpoint, my personal reputation is at stake, so whatever I say or do in regard to Verizon can be counted upon to be authentically my personal opinion. I’ve been a Verizon customer for more than a decade, so I’m a long-time consumer and supporter of the company. People have asked (and assumed) I receive payment for my tweets, posts and tagged content, but Verizon doesn’t pay me anything. I’ve received phones and tech gadgets, and have never been given ultimatums such as, “You must write about this product and endorse it.” Ethically, I won’t say something good unless it is. So many great things happened during the summit. 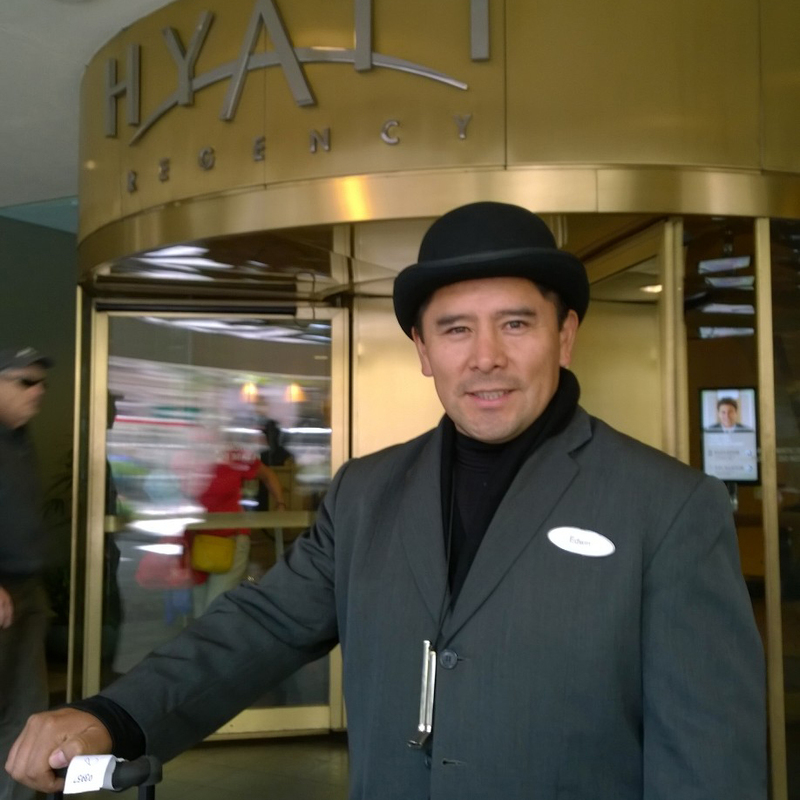 From the moment my first Uber driver picked me up at the Oakland airport and dropped me off at the Hyatt, I knew I was in store for something very special. Meeting many long-time virtual friends from social media was truly exciting. 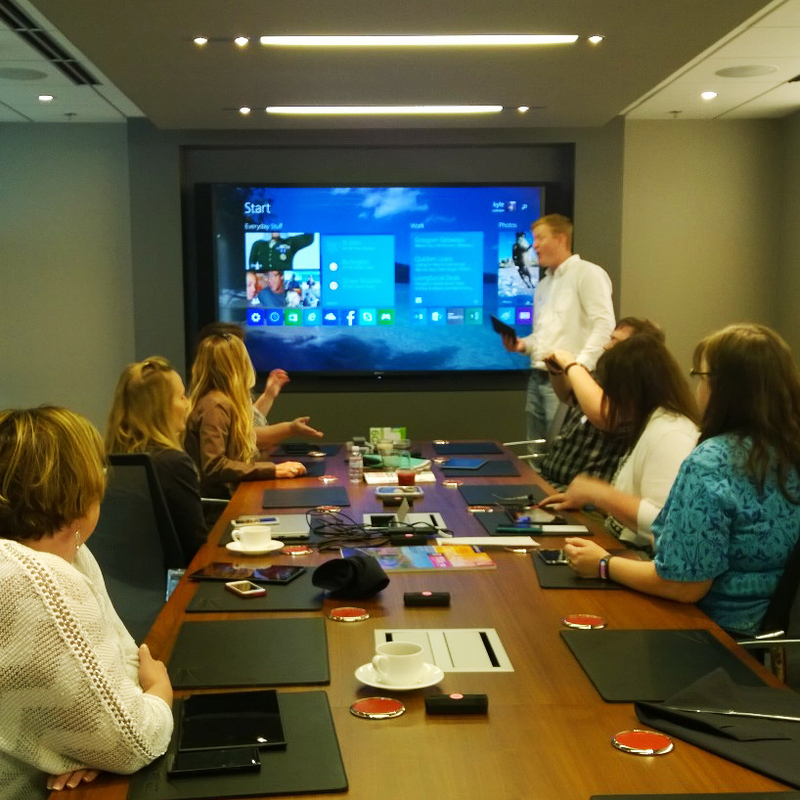 Having experts from Verizon, Microsoft and Nokia introduce to us new technology was mind bending. And learning about Verizon’s exemplary global citizenship initiatives made me feel proud. In case you aren’t aware, The Verizon Foundation focuses on energy management, education and health care. You can learn more about them by checking out this link: http://www.verizonfoundation.org. I was truly inspired and impressed by their work. 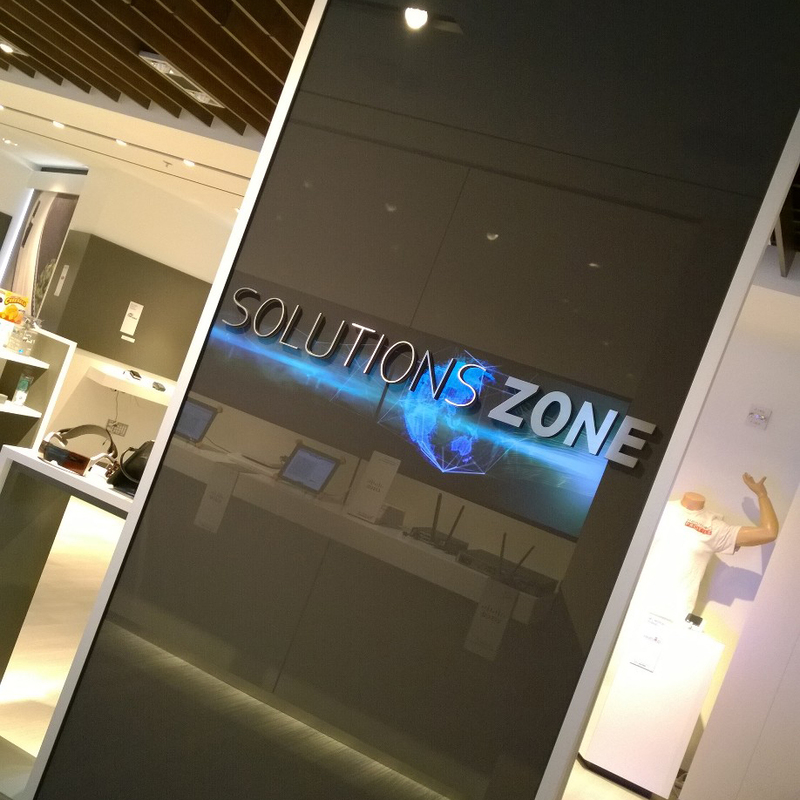 We also were allowed to tour Verizon’s “Solutions Zone,” where new products as well as products still in development were on display. 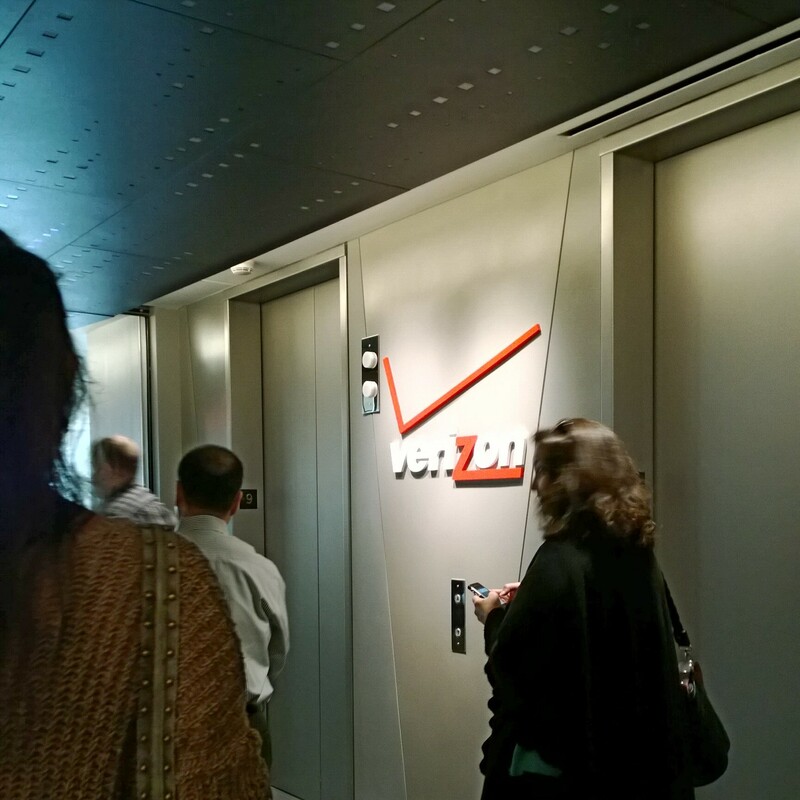 It was a rare opportunity to explore Verizon’s inner sanctum, and especially to access technology that is not yet released to market. Cameras, networking equipment, robots and even a soft-drink refrigerator with an illuminated, transparent, animated glass door. The Verizon Solutions Zone is a tech wonderland. 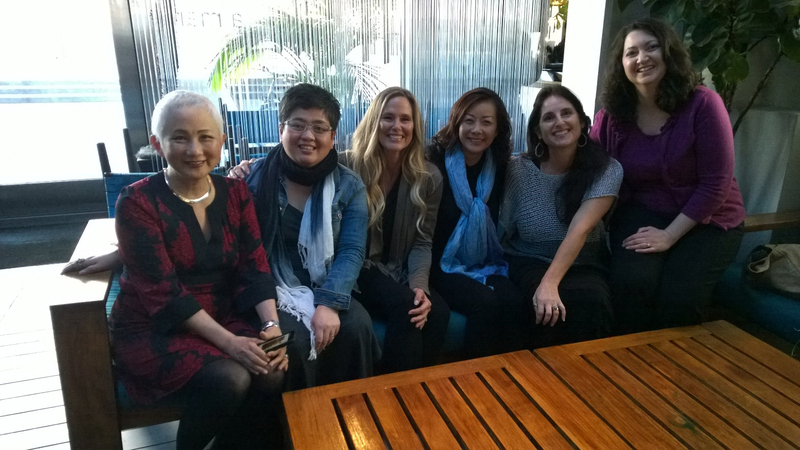 Meeting Monica Villa, Sara Hawkins and Ann Tran. I’ve been wanting to meet Ann for years, and found her to be a lovely person. She’s pretty, petite, and fun. Monica is VZWBuzz’s fearless leader. She makes everything happen, and is fun, smart and kindsome of my favorite qualities. Sara and I became acquainted through Twitter and Instagram. She’s as warm and genuine as I knew she would be! There were six #BA75 (www.bitrebels.com/social/twitters-top-75-badass-women/) sisters in attendance. Beside Ann, Sara and me, there was Joyce Cherrier, Misty Belardo and Gina Stark. It rocked! Our first dinner together at La Mar was delicious and fun. La Mer is a popular Peruvian seafood restaurant, beautifully situated overlooking San Francisco’s waterfront. Before dinner, we had a chance to mingle and introduce ourselves. Gina Stark and Chris Rauschnot were to my right and left during dinner. Each course was more amazing than the one before it. 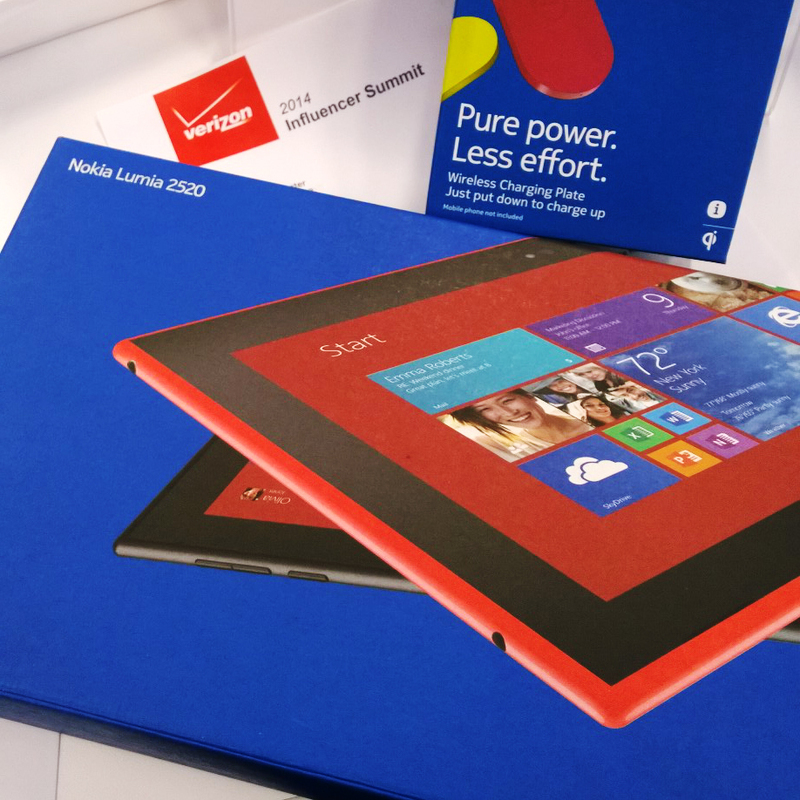 Receiving a new Nokia Lumia 2520 tablet along with a KILLER case with built-in keyboard was a mind-blowing. I’m writing this blog post with it, as it comes loaded with the Office suite, including WORD! Beside a full keyboard, the case also has a built-in track pad. Compact and light, it’s a beautifully designed piece of technology, functioning very much the same as a laptop. 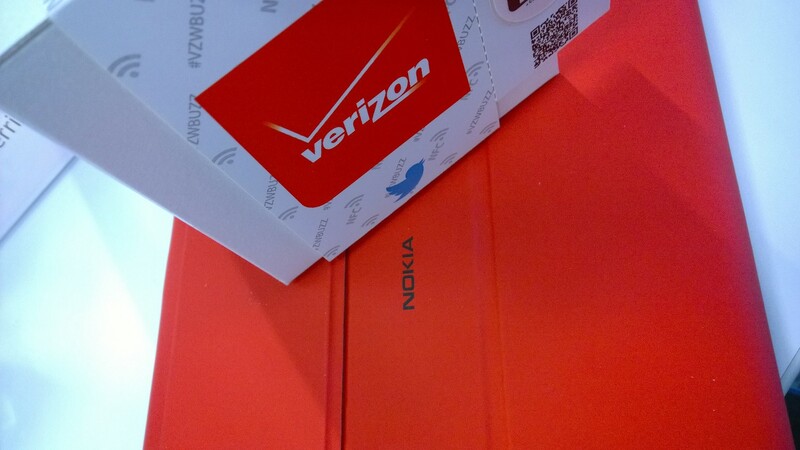 Another bonus: a Nokia wireless charging plate for our Lumia Icons. It is absolutely fantastic! 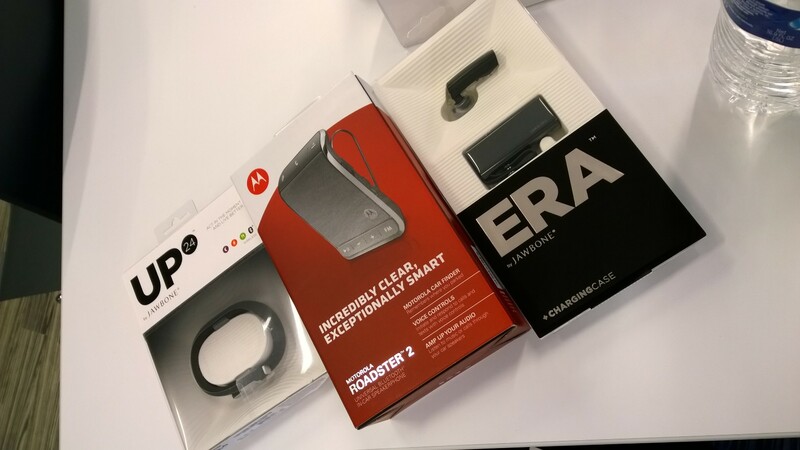 The second day, just when we thought it couldn’t get better, Verizon gave us an “Up24” and “ERA” by Jawbone, and the Roadster 2 in-car Bluetooth speaker. 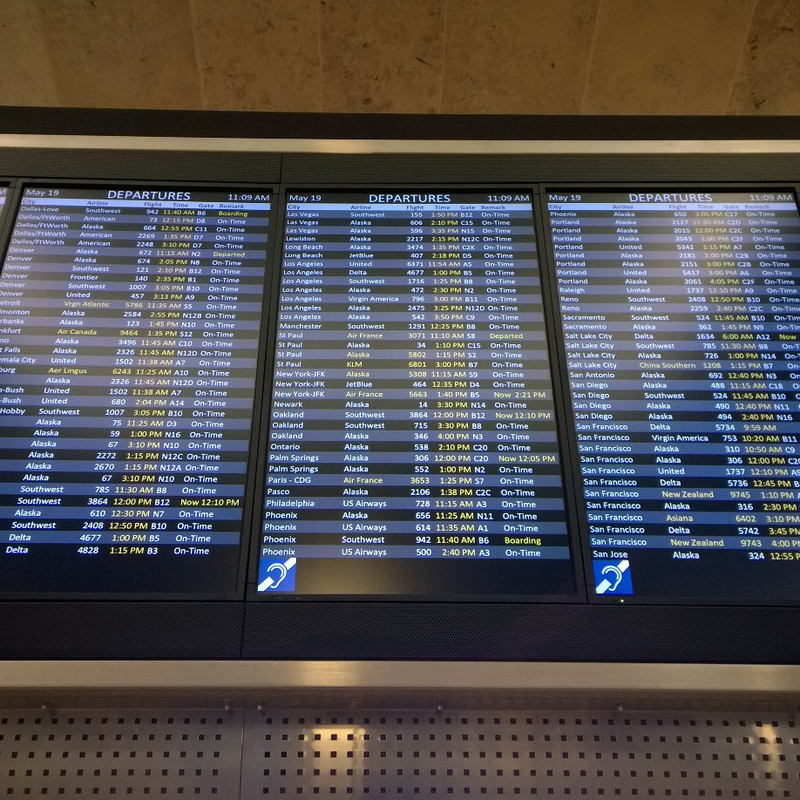 I returned to Seattle with a bulging suitcase to a boatload of work, so some of the gadgets haven’t yet been used. But let me say I’ve really looking forward to trying them! At the end of the second day, the group scattered. 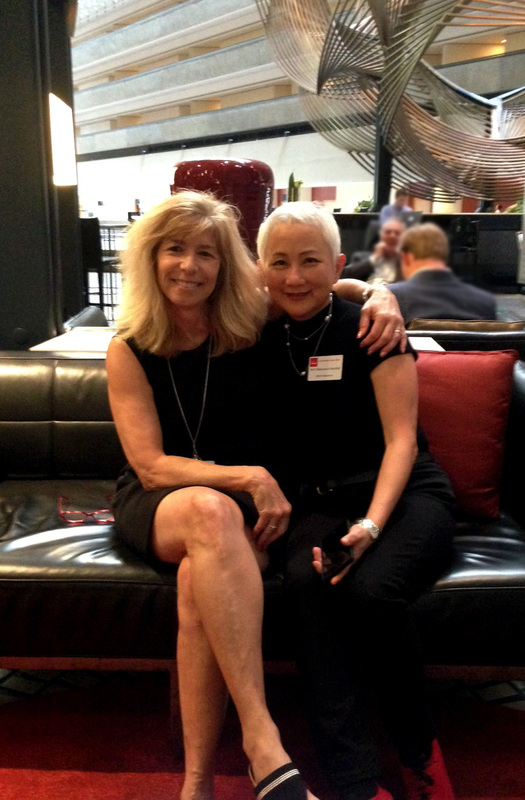 But I enjoyed some great hang time with Gina Stark in the Hyatt lobby, where we were later joined by Ann Tran, Chris Fleury and Calvin Lee. A terrific cap to this superb experience was being able to see my college roommate, Barbara Lloyd, who was able to rearrange her schedule so she could visit for an hour. Seeing her was the icing on my favorite red velvet cake! 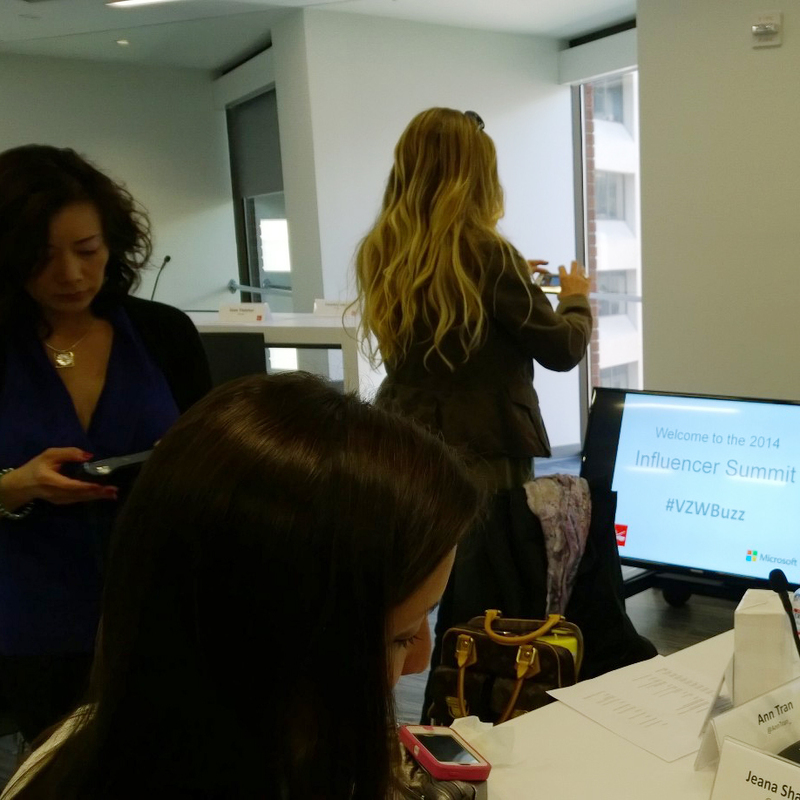 The Verizon Influencers Summit was a rare opportunity to view Verizon from the inside. I don’t imagine most people know how hard they work to integrate meaningful technology into the lives of their customers, employees, and the world at large. Learning about their public service initiatives painted a picture of how we wish all companies would behave. The gathering gifted us with the opportunity to solidify long-time connections and forge new ones. 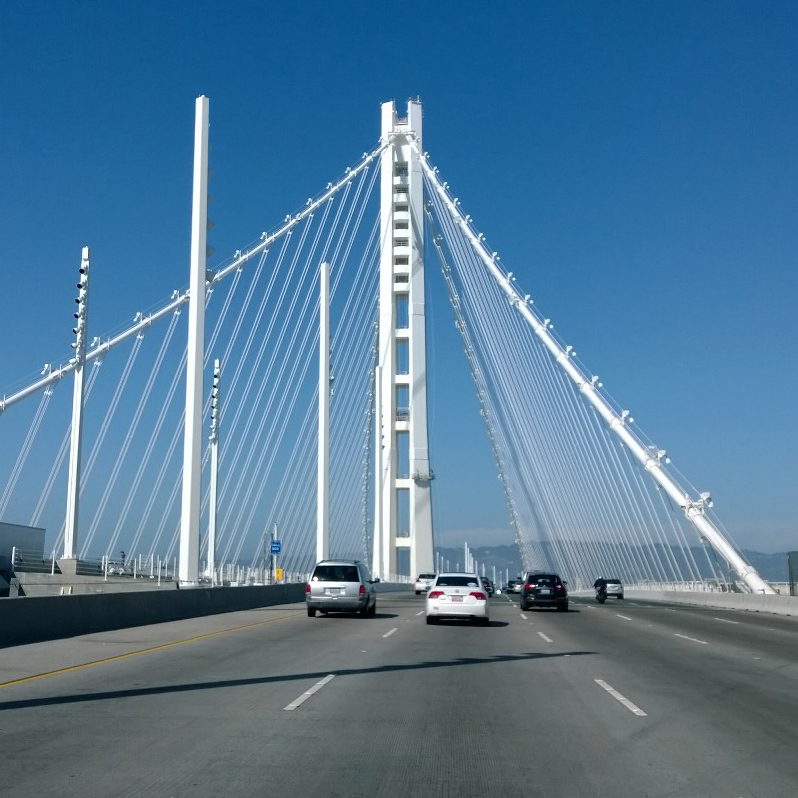 When the second Uber driver picked me up and we drove across the new Bay Bridge, I looked back at a very special experience. Thank you, Monica, for making it happen. 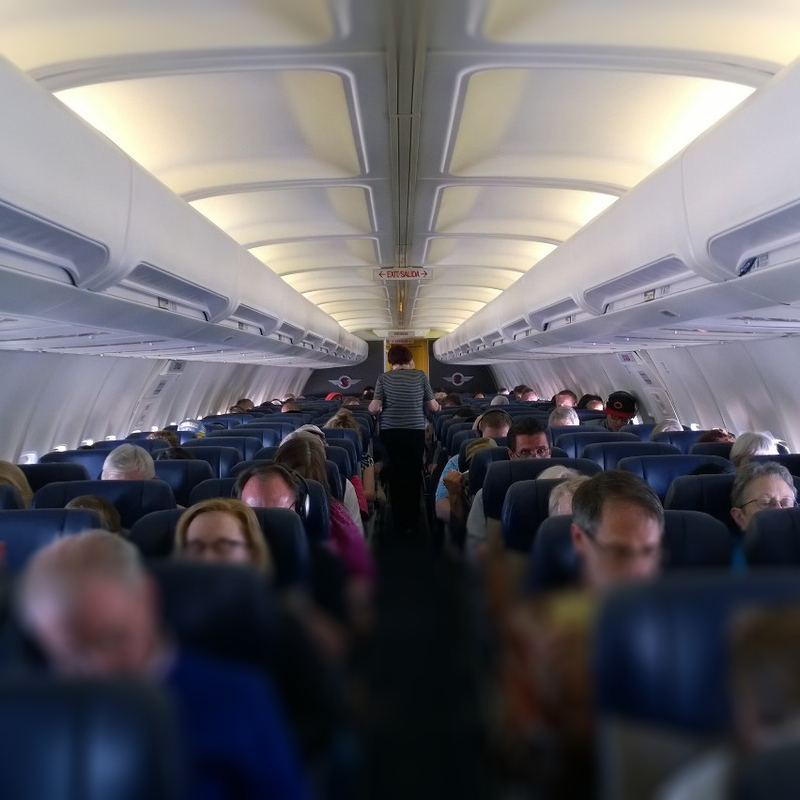 The plane was packed! I was so lucky because a woman I was chatting with had priority boarding (I was in the last group). She saved me a seat in the third row! I can’t lie—I love Über. 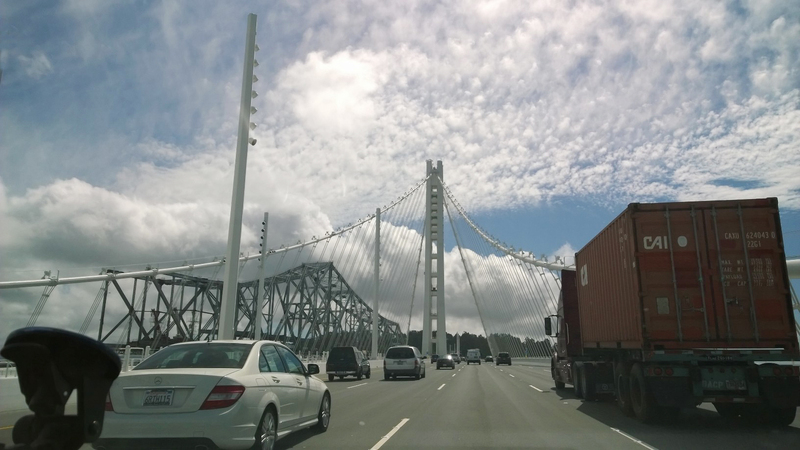 As we crossed the Bay Bridge into San Francisco, the driver pointed out the old bridge (to the left). My room was on the 10th floor. 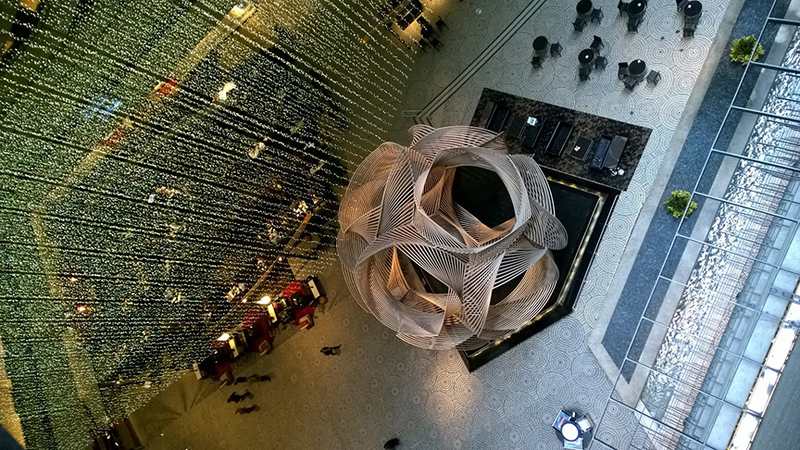 Here is the view looking down into the lobby. Dinner at La Mar was amazing! 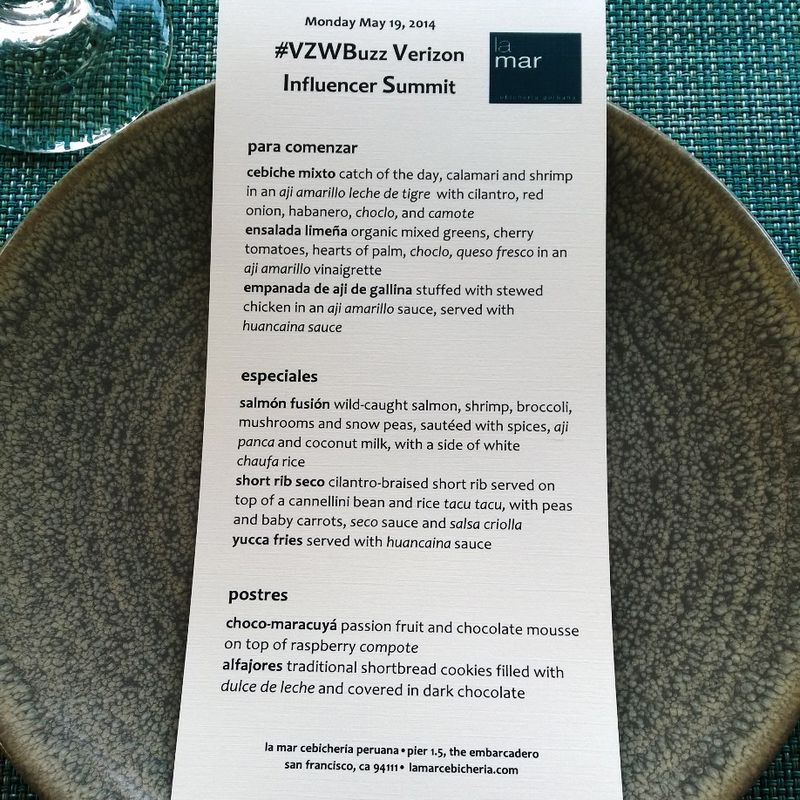 You can imagine a huge table of social media aficionados, all taking photos of the food with their Nokia Lumia Icons! Arriving at the Verizon Innovation Center after a brisk walk from the Hyatt. Getting settled before the presentations began. Did we really receive new tablets? 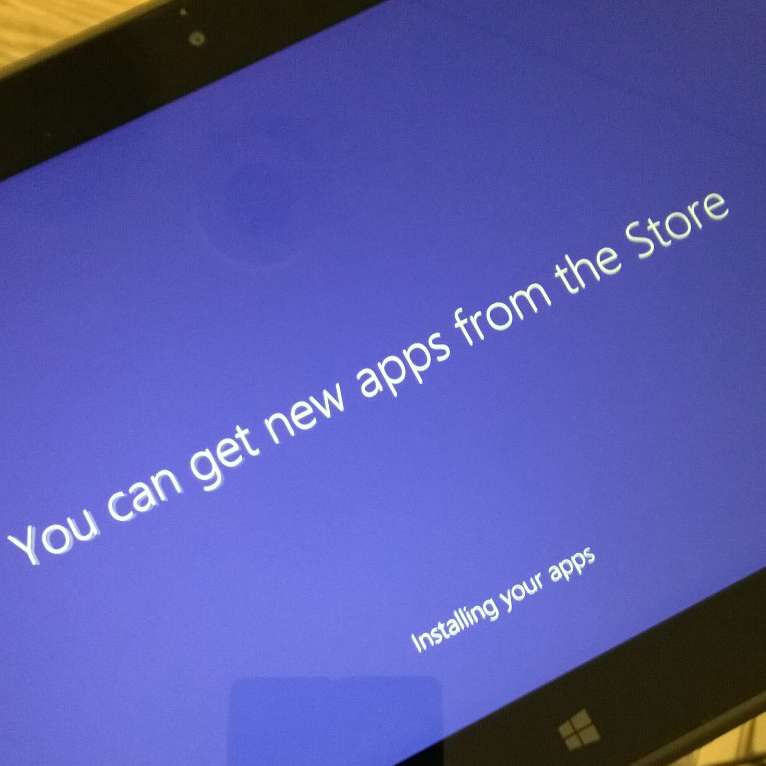 Excitement as we installed apps on our new Nokia Lumia 2520 tablets! The presenters were knowledgable and helpful, wanting to make sure they answered all of our questions. We saw a lot of cool new products in the Verizon Solutions Zone. 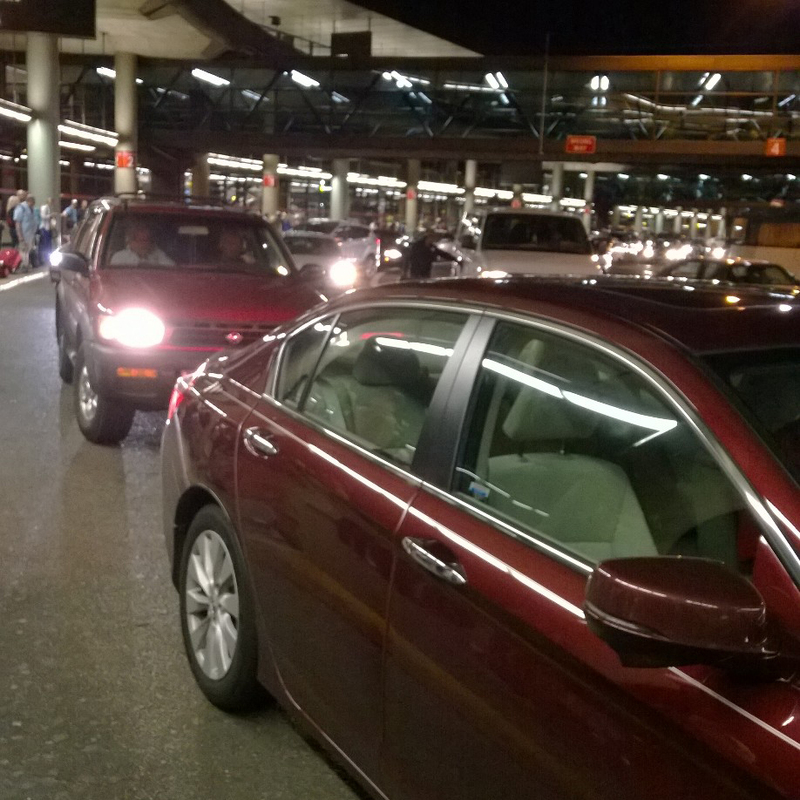 Back to Seattle, greeted by traffic!